Dominique Gallmann, co-founder of Exotiq Property. Dominique Gallmann, co-founder of Exotiq Property, one of the most well established real estate agencies in Bali. Exotiq Property's purpose is to enrich peoples’ lives, so that they can appreciate life more and live their dreams! 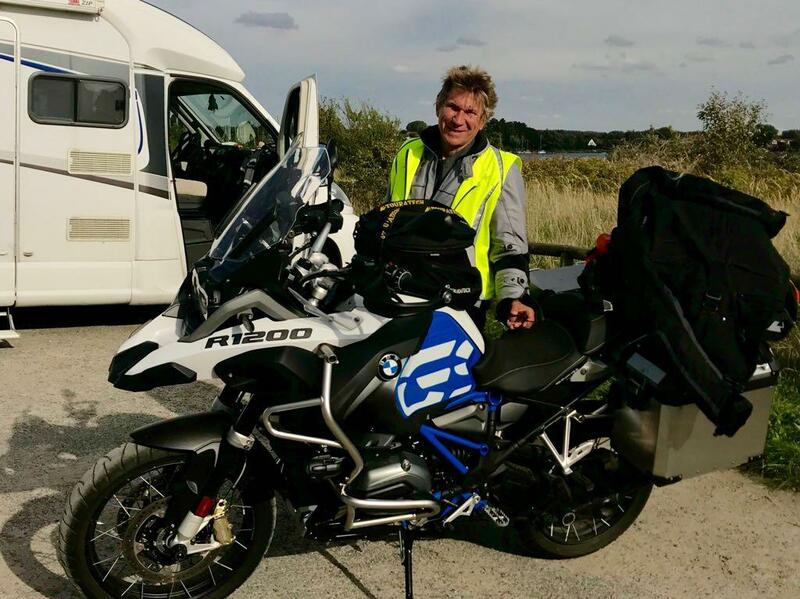 Dominique is planning to ride from Berlin to Bali on his BMW R 1200 GS Adventure. Dominique, you're what's called a ‘sudah lama’ in Bali, or one of those that seems to have been here forever. What brought you here in the first place and how did you get into real estate? I'd just graduated from Social Anthropology and Economics in Switzerland, when I applied for a job with the International Labour Organization (ILO) and was sent to East Java to work with rural multipurpose cooperatives in 1987. I stayed with the UN for 6-years and moved to South Sulawesi before getting a job with the German development aid programme, which eventually brought me to Bali. Development aid in Bali? That sounds strange. It was all based on a request by the Bali Governor to assist them in developing microfinance. We would never have dreamed about setting up an office here. But then it became a huge success and the LPDs (local village saving and credit associations) are still growing and providing a fantastic service to the entire population. And from microfinance to real estate? Well, that started with the need to find a proper house to live in for myself and my wife. My wife was doing the house hunting and managed to contact a few agents, who turned out to have no transport except their motorbikes. It was the early days. We ended up renting a lovely but super expensive house in Legian (with no pool), which was the ultimate village to live in Bali at the time. The experience told us that there was definitely a need for a professional agency. So that’s what led you to create Exotiq Property? In a way, yes. At the time I was working with the World Bank and the Indonesian Central Bank on a retainer and had time to consider building something of my own with my partner Angus MacLachlan, who had just left the hospitality industry and shared the vision. That’s when Exotiq Property was born. Not too good in the beginning. Soon after we had started there was the first Bali bomb and real estate was pretty much dead for exactly 10-months. But then it came back and we started opening new franchise offices in Thailand and Bali. Then came the good years, before the GFC, the global financial crisis. 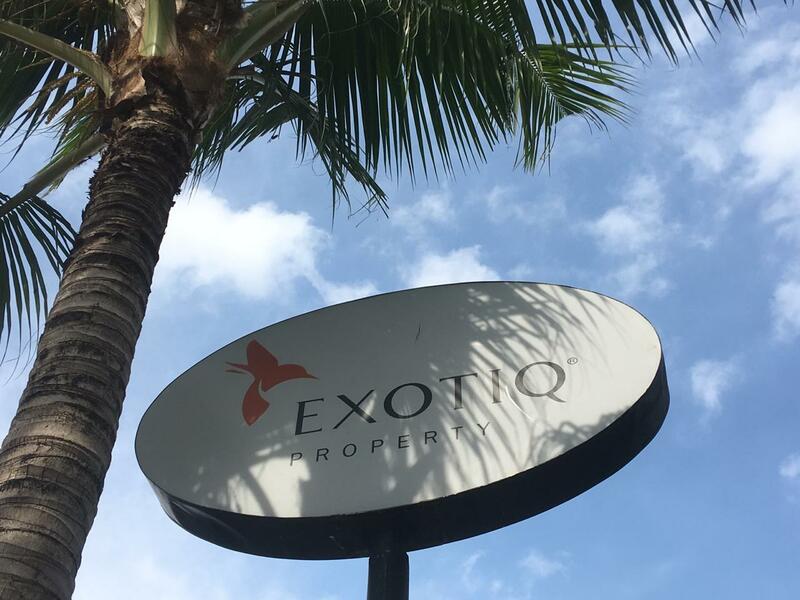 What's the Exotiq Property mission? Our purpose is to enrich peoples’ lives, so that they can appreciate life more and live their dreams! To see a young family moving into their new Bali home and living their dream is what keeps us going. Many of our clients have become best friends. Today, the market is very different from when you started. What’s your outlook for Bali and the property market? Indeed, a lot has changed. Three years ago, the market came down hard after a stellar performance and it's now seeking new directions. In a way, the current correction is a good thing. Those double-digit growth rates were unhealthy. But the market is slow to correct and this will take time. Where do you see Bali heading? We are on an island that lives off tourism and the future of Bali is linked to how well that particular industry is being managed. There are lessons to be learned. But I feel there's a lack of vision for Bali’s future. Continuing to grow like in the last 10-years with way more than 10% annual increase in direct foreign arrivals is not a good recipe. Just look at traffic, water resources, waste, and pollution. I remember we discussed concepts for sustainable tourism for Bali when I was a student. The idea of creating world-class accommodation facilities in Nusa Dua was born, far away from the villages and set apart in its own enclave. But then, something went wrong and all of a sudden, guesthouses, hotels, villas and apartments got built everywhere and the idea of 'containing' tourism was gone. Where are Bali's hot spots for the property market these days? I mentioned Legian, where we rented our first house, and which was the hip place to life in Bali 25- years ago. Today, if I mention Legian to our clients, they shrug their shoulders. “Legian, never heard of that”. Then Seminyak became the flavour of the day and now it’s Canggu. Follow that logic and we will soon be further up the west coast in Tabanan and beyond. I personally believe in North Bali, away from the crowded streets of the South. What do you do when you're not busy in the office? I'm passionate about motorbikes. I own a few in Bali and in Germany and if I can escape, I plan road trips and enjoy a good ride. This year, I am planning to ride from Berlin to Bali on my BMW R 1200 GS Adventure. There will be two of us and we plan to be on the road for 108 days. You can contact Dominique and Exotiq Property via the contact details below.